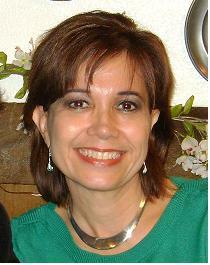 Nohemi Oddo - Oddo Brothers CPAs - since 1979! Nohemi Q. Oddo, was born in Mexico, where she studied for two degrees: Business Administration and Law. She also completed courses for Diplomas in Accounting and Finance, and numerous continuing education courses throughout her careers. She previously worked as an Attorney with the firm Bringas Acedo Attorney in Mexico, and also at the Law Offices of the University of Sonora, where she graduated. She can assist clients who might have the need for legal processes in Mexico. For example, she can assist clients who want to incorporate new businesses in Mexico, or clients who need assistance with Mexican real estate transactions. She can assist in obtaining official Mexican documents such as birth certificates, preparing leases, “fideicomisos” (fiduciary contracts peculiar to Mexico), etc. Her financial experience has been in banking, where she worked for 21 years, having served as Office Manager and Corporate Banking Executive. At the same time she worked as a teacher at the University of Sonora, where she taught the classes of Financial Consulting, Financial Accounting, Legal aspects of Insurance and Money Markets. Included in her background are three summer courses at IPADE (Instituto Panamericano de Alta Direccion de Empresas) in Mexico City in 1998, 1999 and 2003.